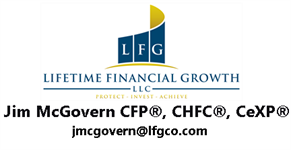 At Lifetime Financial Growth, we work with a diverse client base, including a large number of physicians, dentists, executives, and business owners. Wherever they are in their life or career, our clients are family-oriented and have open minds and a willingness to learn. They also value coaching to help stay on track over the years. We tailor our services and process to our clients and their needs. Most of our clients have busy and active lives. They may be building their careers or their business and don’t have the time to stay up-to-date with changes, challenges, and opportunities, but still want to build and protect wealth. For these clients, we offer a wide range of wealth management* and financial planning services. We can manage their finances so they can instead focus on their passions in life. Wherever you are in life and whatever level of engagement with your financial strategies you desire, we tailor our services and process to you. *Wealth Management services offered through Park Avenue Securities.